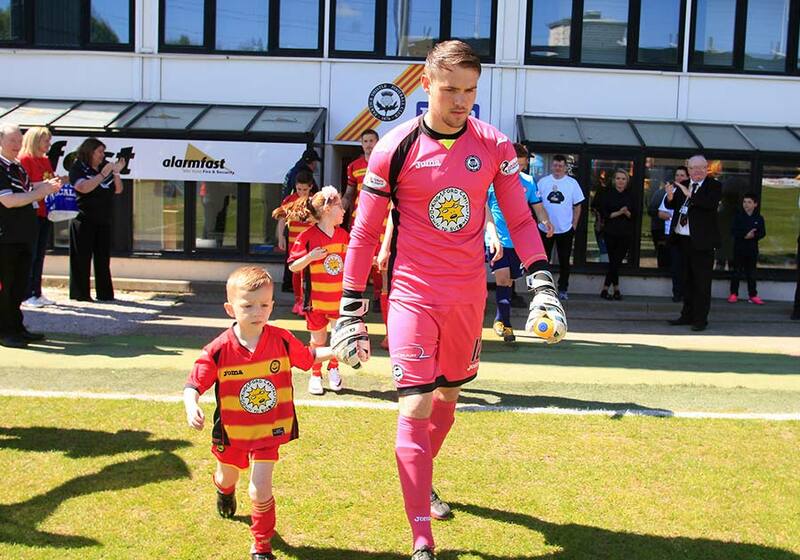 Here at Dictate The Game, we were given the opportunity to interview former Partick Thistle and Dunfermline goalkeeper, Ryan Scully, and talk about his rise through the ranks of Scottish football as a goalkeeper. Ryan has just signed for Scottish Championship side Greenock Morton. Ryan is a 25 year old Goalkeeper who started his career at Partick Thistle in 2008. Since signing for Partick Thistle, Ryan has completed loan spells at Petershill, Albion Rovers and Dunfermline. 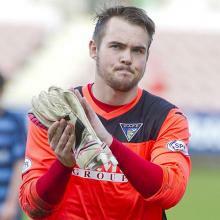 During Ryan’s time at Dunfermline, he was awarded their player of the year award 2 years running, in 2014 and 2015, a very rare accomplishment for a goalkeeper. Ryan has just signed a one year contract at Championship side Greenock Morton and will be competing with Derek Gaston for the starting jersey. As an outfield player, you often get chances to play 15-20 minutes every now and then, as a goalkeeper you wait until the keeper is injured. How frustrating is it as a goalkeeper to sit on the bench, and wait for your opportunity? How excited are you to be working with Ray McKinnon? Was he the reason you signed? What do you think about the loan system and how it has helped you? Why do you think most talented youngsters end up playing in their club’s reserves at 17/18, and how much does this hold them back? When pundits or commentators comment on goalkeepers, they often don’t go beyond ‘he should’ve saved that’. With you having the benefit of first-hand insight, what are the most common misconceptions about goalkeepers? It’s very rare for loanees to win player of the year, but you did it two years in a row at Dunfermline. Do you feel it’s even more impressive because you were only on loan? Did you always want to be a goalkeeper or did you start playing football in a different position? Ryan, in your career you’ve only ever played for Scottish clubs. Could you see yourself moving south of the border in due course? During your time at Partick Thistle you made an outstanding save against Hamilton in a 2-2 draw. What’s been your favourite save and why? You were at Partick Thistle for nearly 10 years, what’s your best memory at the club? Even though you’re only 25, everyone has to retire one day, so have you got any plans for your post playing career? Coaching? Punditry? Or are you looking for a non-football career? 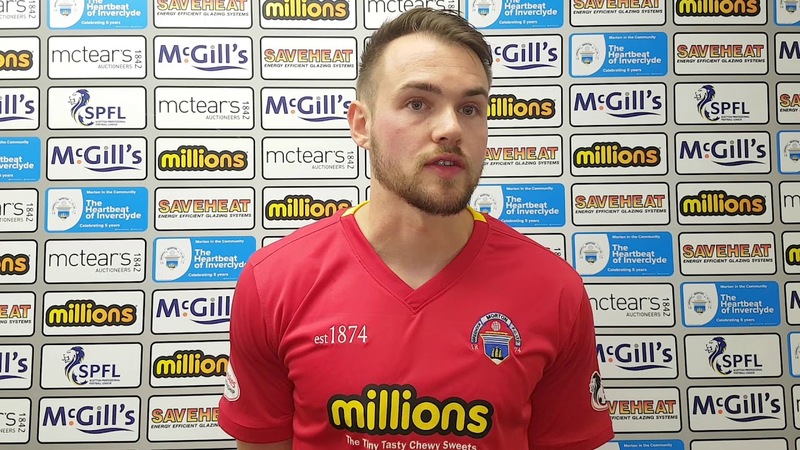 Did your two years on loan at Dunfermline benefit your game through first team football? What made Greenock Morton an attractive option for you? What advice were you given during your youth development that has stuck with you throughout your career thus far? And what advice would you give to aspiring young goalkeepers? Who do you look up to in terms of who you feel is the best goalkeeper ever? And have you taken any elements from other goalkeepers to improve your own game? I would personally like to thank Ryan for firstly responding to our interview request and secondly for answering each question thoroughly. It was an absolute pleasure talking to you, and I can assure you, you’ve gained a couple of extra fans for the upcoming season. We wish you all the best for your football career and I know for a fact we will be keeping an eager eye on your progression. I would also like to wish Greenock Morton the very best for the 2018/2019 season.